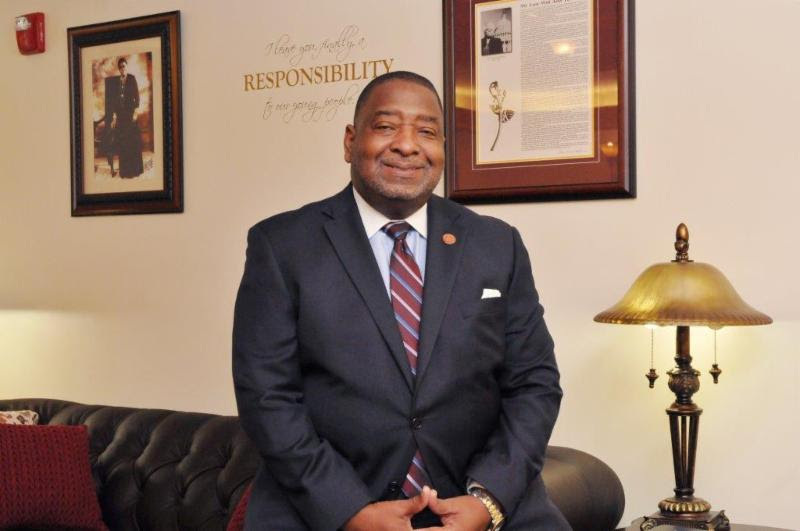 DELTONA, FL- B-CU’s Interim President Hubert L. Grimes, Esquire, will give the keynote address at the 29th Annual West Volusia Branch of the NAACP Freedom Fund Banquet on Saturday, June 29, 2019, at 7 p.m., at the The Center at Deltona, 1640 Dr. Martin Luther King, Jr. Blvd., in Deltona, Florida. 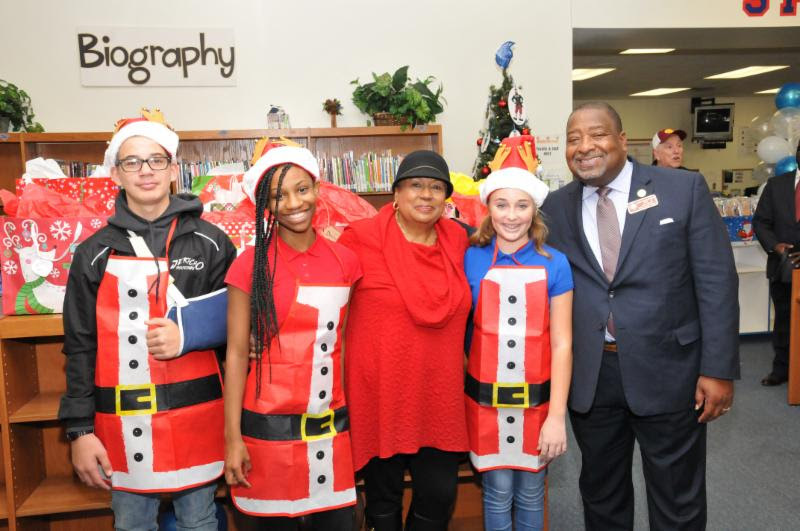 The celebration marks the 110th anniversary of the National Association for the Advancement of Colored People and the 80th anniversary of the West Volusia Branch. 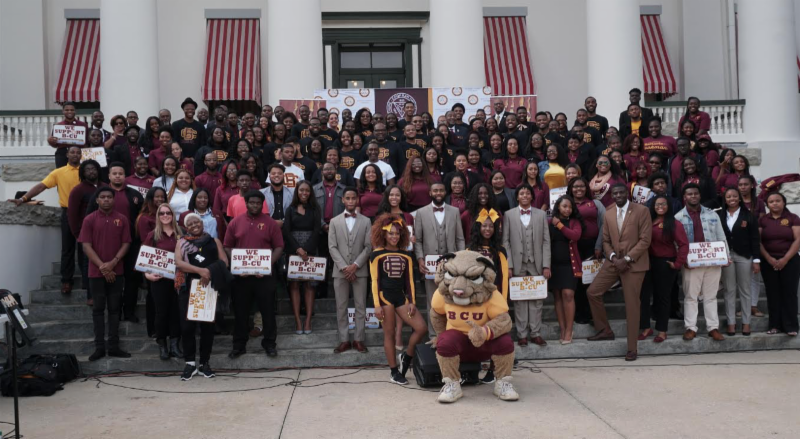 Since 1909, just a few years after the founding of Bethune-Cookman College (now Bethune-Cookman University), the NAACP has championed the fight for freedom, justice, and equality. As B-CU's interim president, former judge of the Seventh Judicial Circuit Court in Florida and a highly-respected civic leader and university ambassador in Daytona Beach, Judge Grimes is uniquely qualified to deliver a message fitting for this year’s theme: "We Can’t Rest Now, The Stakes are Too High." “As a longtime resident and public servant of the community, I am firmly committed to the task of justice and equality and will continue to help our economic and human impact in the Volusia community and beyond. Our success is this community’s success, and together we will make a difference,” said Grimes. For more than twenty-five years, Judge Grimes dedicated himself to judicial service. He broke racial barriers as the first African-American judge in the history of Volusia County, Florida when he was elected as a county judge in 1988. In 1999, Florida Governor Jeb Bush appointed Grimes to a circuit judgeship that covered four east Florida counties. In 2010, he self-published his first book entitled, How to Keep Your Child from Going to Jail—Restoring Parental Authority and Developing Successful Youth. His second book, Perspectives: They Can't Take What You Have Between Your Ears, is in the final stages of development and the third book, Journey to Judgement, is underway. Throughout his career on the bench, Interim President Grimes maintained that education is the driving force for improved lives, positive impact and the development of the next generation of global leaders. For decades, he has personally served as a mentor and role model for countless youngsters in Central Florida whose lives have been redirected from certain failure in the court system to success through education. In addition to a stellar career on the bench, President Grimes has vast teaching experience in higher education on the undergraduate, graduate and judicial college levels. He earned a Bachelor of Science Degree in Political Science from Kentucky State University, where he served on their presidential search committee; a Juris Doctorate from the University of Georgia Law School, and a Graduate Degree in Practical Theology from International Seminary. As an educator, Judge Grimes has taught numerous judicial education courses in Florida and at the National Judicial College in Reno, Nevada. On the collegiate level, he has taught as an adjunct professor at the Florida A&M College of Law, Bethune-Cookman University, and the University of Central Florida. In 1982, Grimes founded Central Florida Community Development Corporation, a non-profit housing and minority business incubator, which has built over 400 homes in the Central Florida area and assisted in the start-up and expansion of numerous businesses. From 1996 to 1998, he served as president of the 280-member Florida Conference of County Court Judges, again a first for an African-American. In 2001, he founded the Latimer-Hawkins Florida Chapter National Bar Association Judicial Council, an organization of more than 100 Black judges, and served as its president until 2014. A recipient of more than 100 national, state and local awards, Judge Grimes has served on countless Florida Supreme Court committees, and has testified before the state legislature on behalf of Florida judges. In 2009, he was recruited as a candidate for a vacancy on the Florida Supreme Court. He is a Life Member of Alpha Phi Alpha Fraternity, a Minton Fellow of Sigma Pi Phi Fraternity, and is admitted to practice law in both Florida and Georgia. He was inducted into the Bartow, Florida High School Hall of Fame, and twice named as a distinguished alumnus of his alma mater, Kentucky State University. He created and presided over both the Unified Family Court and the Family Drug Court, which positively impacted the lives of many parents and youth battling drug addiction. During his judicial career, he resolved more than 100,000 cases of various types. He has served on the national board of Celebrate Life International, an Atlanta-based organization which develops training programs for troubled youth; and has mentored hundreds of young people who have gone on to become attorneys as well as other professionals. Judge Grimes was appointed Interim President of Bethune-Cookman University in July 2017 by the Board of Trustees to lead the historic university, which was founded by Dr. Mary McLeod Bethune. His goals are to restore the fiscal integrity of the institution, strengthen the academic enterprise; enhance governance, and accountability while improving the University’s brand and visibility. Prior to his appointment, he served as University Legal Counsel from November 2015 until his appointment in July 2017, and Director of the Center for Law and Social Justice at Bethune-Cookman University from 2014 – 2015. One of his proudest moments occurred when he and his team, including his wife, First Lady Daisy Grimes, Director of Legacy and Women's Initiatives, successfully persuaded the Florida Legislature to adopt Dr. Mary McLeod Bethune as Florida's representative in National Statuary Hall in Washington, DC. Dr. Bethune is the first state-commissioned statue of an African American to be placed in National Statuary Hall. For the past ten years, he and his wife, Mrs. Daisy Grimes, have annually co-sponsored Camp Michael, a week- long camp for nine to thirteen year olds, named in honor of their fallen nephew who was killed while serving in Afghanistan. More than 1,400 youth have attended the summer program, which is held at the Florida Elks facility. Judge Grimes and his wife have four children and four grandchildren. They are actively involved in ministry at Calvary Christian Center of Ormond Beach, Florida. In 2012, he was ordained as a Minister in the Calvary Network International and confirmed as an Apostle. 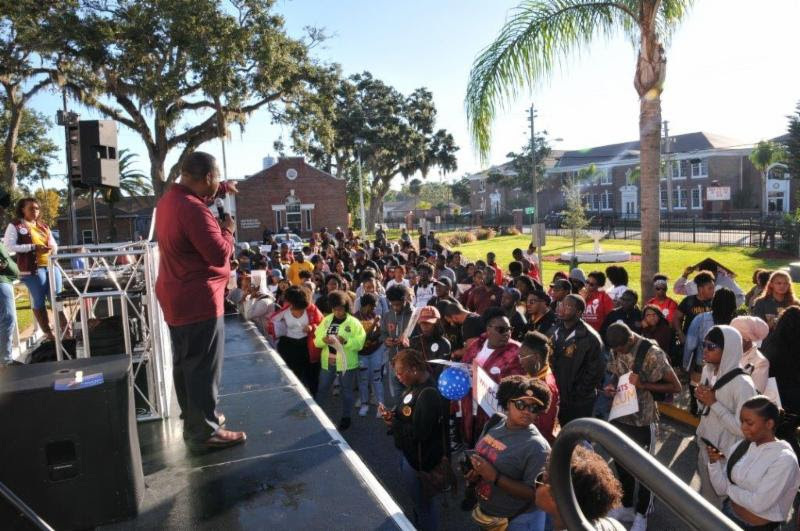 He is a frequent speaker throughout the State of Florida and around the country for various schools, churches, conferences, and other organizations. He is the founder and host of the Genesis Prayer Line, a nightly outreach ministry that touches lives around the country.